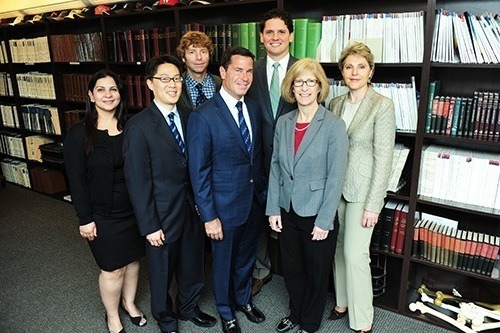 Back row (L to R) – Markus Wimmer, PhD; Adam Yanke, MD; Front row: (L to R) – Kavita Ahuja; Vincent Wang, PhD; Brian Cole, MD, MBA; Elizabeth Shewman, PhD; Susan Chubinskaya, PhD. As part of the mission of the Division of Sports Medicine, Section of Shoulder and Elbow Surgery, and the Rush Cartilage Restoration Center, orthopedic surgeons at Midwest Orthopaedics at Rush are committed to providing patients with the most complete range of contemporary treatment options, including the latest minimally invasive procedures. In its 17th year under the direction of Dr. Brian J. Cole, MD, MBA, we have collected data and reported on more than 1,000 transplants and cartilage repair procedures. These publications and the rehabilitation protocols are available in the Resource Library. All research studies have been approved by the Institutional Review Board at Rush University Medical Center. Involvement in any fashion is purely elective, and patients will undergo a thorough informed consent process. Patient information is strictly confidential and will only be used for research purposes. This is a multicenter, prospective, single-blinded, two-arm, randomized study. Enrolled subjects will have a single Bone Marrow Lesion of the tibia, single BML of the femur, or adjoining Bone Marrow Lesions of tibia and femur. Subjects will also be surgical candidates for knee arthroscopy due to mechanical symptoms, meniscus tear, loose body and/or synovitis. A stratified blocked randomization will be used to assign subjects to either Subchondroplasty with arthroscopy or to arthroscopy alone in a 2:1 ratio. The Subchondroplasty® (SCP®) Procedure targets and fills bone defects with AccuFill® Bone Substitute Material utilizing an arthroscopic / percutaneous approach. Using intraoperative fluoroscopy, the bone defect is localized relative to MRI findings The appropriate AccuPort® Delivery Cannula is drilled to the bone defect. AccuFill® Bone Substitute Material is then injected into the subchondral bone defect. The calcium phosphate (CaP) fills the edematous void and hardens within the Bone Marrow Lesion. The CaP is resorbed over time and replaced with new bone during the healing process. Subjects will be enrolled within 60 days prior to surgery and take part in follow-up visits for two years following surgery. A preoperative visit will occur at the time of enrollment. Follow-up visits will occur at the study site at 6 weeks, 3 months, 6 months, 12 months, and 24 months post-surgery. Telephone follow-up interviews will be done at 18 months post-surgery. This randomized controlled trial examines the use of an injection to regenerate articular cartilage in the knee in patients with cartilage defects. Click ‘here‘ to see the brochure and ‘here‘ to read more detail about the study. This study evaluates the effectiveness of GelrinC in the treatment of cartilage damage in the knee. GelrinC is a synthetic material called PEG-DA combined with a natural protein called fibrinogen. Together, these materials form an implant which is inserted into the “hole” in your cartilage. As time goes on, new tissue forms around the implant and the implant gradually degrades so that eventually only the new tissue remains. This study hopes to find that the new tissue closely resembles your natural cartilage tissue, like the hole was never there in the first place. Some patients with holes in their cartilage undergo a procedure called a microfracture, which stimulates the bone marrow within your knee bones to start the healing process. In this study, patients will have a microfracture procedure done with the additional implantation of the GelrinC. We will compare the results of the patients who received GelrinC to previous patients who only had the microfracture procedure. 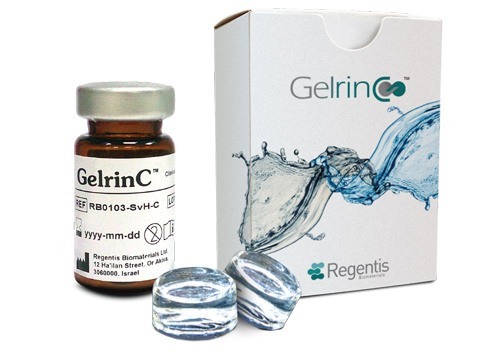 In an earlier clinical research study, GelrinC was shown to be safe for use and showed improvement in pain levels after surgery, symptoms and ability to do day to day activities. Patients participating in the study answer questionnaires about their symptoms and functionality. Patients also undergo 4 MRI scans to evaluate how the knee is healing over the course of 5 years. There are 10 post-operative visits patients attend: 7 times within the first two years and then yearly at 3, 4 and 5 years. This is a company-sponsored Phase 3, randomized research study evaluating an investigational treatment called NeoCart®, a tissue implant made from a patient’s own cells, aimed at repairing certain knee cartilage injuries. The study will look at damage to the knee’s hyaline articular cartilage, the smooth, white tissue that covers the ends of bones where they come together to form joints. Damage to this cartilage may be caused by an injury or repetitive motion. It is a common problem that results in pain and symptoms, such as swelling, locking of the knee and loss of knee function. Damaged hyaline cartilage has limited capacity to repair or restore itself. Left untreated, the damage may progressively worsen and may lead to chronic conditions such as osteoarthritis. The purpose of this study is to learn about the safety and potential efficacy of the investigational cartilage tissue implant, NeoCart®, compared to microfracture, the current standard of care surgery for articular cartilage defects of the knee. Patients who are between 18 and 59 years old and who have symptoms of pain in one knee may be candidates for this study will be screened for study recruitment. Accepted patients will have a two out of three chance of being treated with NeoCart® and a one out of three chance of receiving the microfracture procedure. Patients in each group will know their treatment group, have a specific rehabilitation program, and be evaluated periodically for three years after treatment. The study sponsor is Histogenics, Corp. For more information, text knee1 to 87888, call (773)257-7057 or visit www.NeoCartImplant.com. This study is no longer open to enrollment. This open label study is evaluating the effect of FX006 (Zilretta®) on synovial inflammation in patients with knee arthritis. It involves a single injection of FX006, a drug already approved by the FDA to treat knee arthritis. The primary goal of the trial is to determine if there is a change in synovial inflammation after the injection, which is measured by comparing pre-injection and post-injection MRIs at 6 weeks and 24 weeks. Patients must be over the age of 40 with at least 6 months of knee symptoms. The objective of this clinical investigation is to comprehensively characterize histologic progression and gene expression changes of cartilage defects following routine surgical debridement. This study examines cartilage harvested from autologous chondrocyte implantation (ACI) candidates routinely debrided at the time of biopsy and collected subsequently during routine defect preparation immediately prior to chondrocyte implantation or an alternate follow-up procedure. Male and female patients between 15 and 55 years of age are screened for study recruitment. Patients undergoing an ACI biopsy must return within 9 month of their initial procedure for implantation or alternative follow-up surgical procedure. This is a prospective multicenter longitudinal cohort study conducted at tertiary care centers across North America. The purpose of this study is to determine the ‘minimal clinically important difference’ (MCID) and the ‘patient acceptable symptomatic state’ (PASS) of two questionnaires: the Knee Injury and Osteoarthritis Outcome Score (KOOS) and International Knee Documentation Committee (IKDC) Subjective Knee Form. This study is focused on patients undergoing surgery for articular cartilage defects of the knee. Possible surgical interventions may include debridement, shaving, drilling, microfracture, osteochondral autograft/allograft transfer, autologous chondrocyte implantation or DeNovo NT. The aforementioned procedures can be performed in isolation or combined with a meniscal transplantation and/or peri-articular knee osteotomy in a single operative setting. Male and female patients between 18 and 55 years of age are screened for study recruitment. This is a two-year study and patients will complete questionnaires pre- and post-operatively at 6, 12, 24 months. BioCartilage® is a dehydrated micronized cartilage allograft designed to provide a reproducible method to augment traditional microfracture procedures. 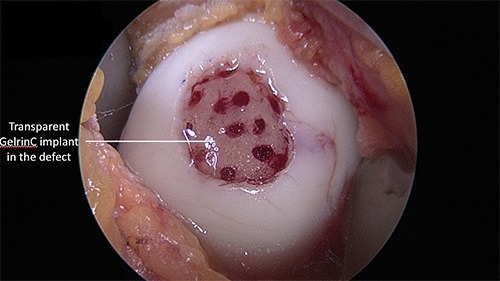 BioCartilage is combined with a platelet rich plasma to create a scaffold for a properly prepared cartilage defect in conjunction with a bone marrow stimulation technique. Scientific evidence exists supporting the premise that a dehydrated, allograft cartilage scaffold used as an adjunct to microfracture should improve the degree and quality of tissue-healing within an articular cartilage defect when properly prepared. The purpose of this study is to collect observational data to determine the clinical outcomes associated with the use of BioCartilage across a broad provider network. Outcomes will be compared to historical microfracture peer-reviewed published data. Male and non-pregnant female patients between the ages of 18 and 55 are screened for study recruitment. Preoperatively, and at 3, 6, 12, 18, 24, 36, 48, and 60 months postoperatively, subjects will be requested to complete pain, health and function surveys using the Surgical Outcomes System (SOS) registry web based program. DeNovo® NT (Natural Tissue) is a human tissue allograft consisting of particulated juvenile articular cartilage intended for implantation at the lesion site with the help of fibrin adhesive. Chondrocytes within the DeNovo NT implant clone, divide and produce matrix leading to defect fill and peripheral integration. The Denovo NT Graft is surgically implanted and affixed to subchondral bone using commercial fibrin during a mini-open knee arthrotomy. This is a post-market, multicenter study of the commercially-available DeNovo NT graft. Patients will be enrolled either prospectively or retrospectively. Only patients who receive or have received one or more DeNovo NT implant(s) may participate. Preoperative, operative and postoperative procedures and evaluations will be completed according to routine care. Data will be collected on the details of these procedures and evaluations and the graft used. Follow-up data will be collected at 6 months, 12 months, 18 months, and 2, 3, 4, and 5 years following the surgical event. NOVOCART® 3D Autologous Chondrocyte Transplantation System, a cell-scaffold biologic/device combination product composed of ex vivo expanded autologous chondrocytes seeded on a bioresorbable biphasic collagen scaffold implanted using a minimally invasive approach. The biphasic scaffold consists of a covering collagen membrane and a cell-carrying collagen sponge. The purpose of this FDA Phase III clinical study is to demonstrate the superior efficacy of the Novocart® 3D autologous chondrocyte transplantation system compared to microfracture in the treatment of articular cartilage defects of the knee in patients who have had inadequate response to conservative treatment. Subjects will be randomized to one of the two study arms. Arm 1: The control therapy, microfracture, is a proven therapy considered to be the current standard of care. Arm 2: The Novocart 3D procedure requires two surgeries: 1) evaluation of articular defect and harvest of cartilage biopsy; 2) preparation of defect and implant of Novocart® 3D. The implant surgery utilizes an approach through a mini-arthrotomy. The follow-up visits will take place at 2 weeks, 3, 6 and 12 months and then every 6 months through 5 years after the procedure. During the visits clinical and subjective evaluations, knee MRI, x-rays and blood work will be performed. The enrollment for this study is expected to start in November 2014. Significant controversy remains about the short- and long-term benefits of mensicetomy performed in a setting of concomitant arthritis. Rush University Medical Center is part of a multi-center NIH funded study investigating this problem. This is a randomized controlled trial of arthroscopic partial meniscectomy (APM) versus a standardized non-operative management program among patients (age 45 or above) for patients with symptomatic meniscal tear in the setting of concomitant knee osteoarthritis. Enrollment for this study is closed. Participants are being followed for five years. This randomized, double-blind, placebo controlled study is investigating the efficacy, safety and tolerability of AIN457, an injection, in patients with overuse tendinopathy of the rotator cuff that has not been relieved with NSAIDS, acetaminophen, physical therapy or corticosteroid injections. It involves 7 visits for injections over 3 months. Patients must be 18-65 years old with symptoms for 6 weeks-1 year. There must be less than 50% tear seen on ultrasound and MRI. The testing will take place at the new Rush University Medical Center Sports Training Facility in Oak Brook, IL. Osteoarthritis (OA) is a common condition that can cause cartilage degeneration and require surgical intervention. One such intervention is a meniscectomy if a meniscal tear is present. This study seeks to understand the influence of stem cells in combination with meniscectomy as treatment for symptomatic meniscal tears in patients with OA. This will be done via the comparison of clinical outcomes in patients undergoing meniscectomy without stem cells versus patients undergoing meniscectomy with stem cells. As a randomized control clinical trial, 50% of patients receive the stem cell injection and 50% do not; patients are blinded as to which group they are enrolled. For patients receiving the injection, bone marrow aspirate will be drawn pelvic bone during surgery, spun down to concentrate the stem cells, and subsequently injected into the knee. Patients not receiving the injection will be “blinded” by receiving a small needle stick in the same area to mimic the bone marrow aspirate draw. In addition to patient reported clinical outcomes, synovial fluid is drawn from the knee during surgery as well as at several follow-up points in order to analyze the presence of inflammatory markers. ReNu is a randomized injection trial for patients with moderate knee osteoarthritis as determined by a combination of clinical and radiographic findings. Specifically, ReNu is an intra-articular injection of amniotic membrane and amniotic fluid cells, which have shown the potential to decrease inflammation and increase tissue healing in osteoarthritic patients. This trial will investigate the efficacy of this injection through a combination of patient-reported outcomes, physical exams, x-rays, and laboratory testing. Following the injection, patients will have follow-up visits at 1 week, 6 weeks, 3 months, 6 months, and 12 months. All patients participating in this trial will be randomized to receive ReNu, Hyaluronic, or a saline injection. This study is no longer open for enrollment. This randomized, controlled, blinded trial examines the effect of stem cells on patient outcomes after osteochondral allograft transplantation. Osteochondral allograft transplantation is performed in patients with cartilage defects in the knee. It is thought that the growth factors in stem cells can create a more favorable healing environment for integration of the graft into the patient’s knee. In this study, patients are randomized in a 1:1 fashion to either receive stem cells or not. In those who receive stem cells, bone marrow is harvested from the patient’s hip on the day of surgery and is processed into bone marrow aspirate concentrate, which contains stem cells. 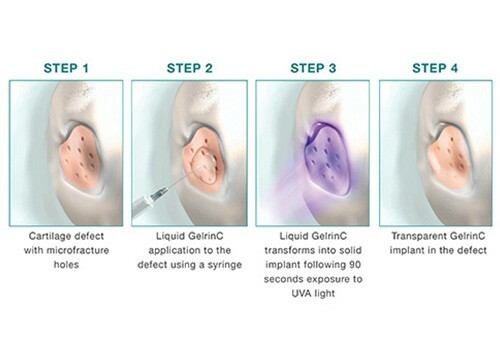 The graft is soaked in the stem cells and the remaining stem cells are injected into the cartilage defect. All patients undergo a CT scan at 6 months to evaluate integration. Patients also fill out questionnaires regarding their outcomes at 2 weeks, 6 weeks, 6 months, 1 year and 2 years post-operatively. 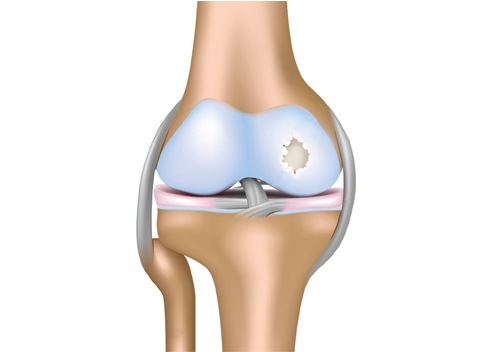 Patients undergo aspirations of the knee pre-operatively on the day of surgery and post-operatively at 2-weeks, 6-weeks, 6-months and 1 year to evaluate the changes in the synovial fluid of the knee. Orthopedic surgeons have tried to identify efficient non-invasive treatment options for osteoarthritis of the shoulder joint and to prevent further degeneration, thus delaying the need for a shoulder replacement. It is proposed that platelet-rich plasma (PRP) is a biologic alternative to corticosteroid injection for the treatment of shoulder osteoarthritis that may alter the intra-articular biologic milieu to better mitigate the symptoms of osteoarthritis. The purpose of this double-blind prospective randomized clinical trial is to compare the effects of PRP to corticosteroid for the treatment of arthritis in the shoulder using validated clinical outcome measures and radiographic evidence of osteoarthritis. This randomized study is evaluating the efficacy of corticosteroid biceps injections which are administered either under ultrasound guidance or are Landmark-guided. Landmark-guided means that the physician will use the visual and tactile anatomy of your shoulder to determine where to inject the steroid. Patients who receive biceps injections for biceps tendinitis will be considered for enrollment in this study. Patients will complete questionnaires regarding their symptoms and will undergo physical exam at 3 weeks post-injection and 3 months post-injection. The use of stem cells has been shown to improve healing outcomes following rotator cuff repairs. Specifically, they have been shown to decrease the re-tear rate and provide more reliable healing rates. It is believed that stem cells might create a more favorable environment for tendon healing following repair. The goal of this study is to compare the clinical outcomes of patients undergoing rotator cuff repair without stem cells to patients undergoing rotator cuff repair with stem cells. Since it is a randomized control clinical trial, 50% of patients receive the stem cell injection during surgery and 50% do not. Patients are blinded as to whether or not they were given stem cells. For patients receiving the injection, bone marrow aspirate will be drawn from the pelvic bone during surgery, spun down in a centrifuge to concentrate the stem cells, and subsequently injected into the rotator cuff repair site. Patients who do not receive the injection will be “blinded” by receiving a small needle stick in the same area, but no bone marrow aspirate will be drawn. Patients in the study complete pre-operative and post-operative surveys as well as complete an MRI 1 year post-operatively to evaluate tendon healing. The optimal treatment of patients with painful biceps pathology is unclear. One method, tenotomy, can lead to cosmetic deformity and anterior humeral discomfort from spasms, causing many surgeons to perform an alternate procedure, tenodesis. Tenodesis includes intra-articular soft tissue fixation or osseous fixation, suprapectoral osseous fixation, and subpectoral osseous fixation. The clinical or surgical benefit of performing an open subpectoral versus arthroscopic suprapectoral biceps tenodesis is not known. The purpose of this prospective study is to determine the superiority of either arthroscopic suprapectoral or open subpectoral biceps tenodesis with regard to movement of the tendon after fixation to the humerus. Intra-operatively, a small bead will be sutured into the tendon. This bead will be visible on X-ray. The movement of the tendon will be measured by X-ray, which will be obtained intra-operatively, 2 weeks post-operatively and 3 months post-operatively. Male and non-pregnant female patients will be screened for study recruitment. Preoperatively, and at 3, 6, and 12 postoperatively, subjects will be requested to complete pain, health and function surveys and undergo clinical assessments. Bony reconstruction of the glenoid in the setting of shoulder instability is challenging, especially in cases where traumatic force has displaced more than 20% of the glenoid. Several variations of bone grafts are used to add more glenoid area for these patients. 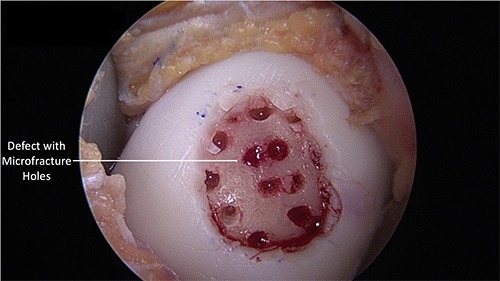 A more recent method developed at Rush involves the using a fresh osteochondral distal tibial allograft. The curvature of the bone matches well to the glenoid making it appropriate for use as a graft, and the distal tibia has cartilage that may benefit the shoulder joint. The purpose of this retrospective study is to compare clinical outcomes of patients who have received a distal tibia allograft to those of patients who have been treated using other bony reconstruction methods. Participants complete a survey of subjective and objective data to quantify shoulder function. The purpose of this study is build a database sufficient to describe normal shoulder function and to better understand disease processes. Patient enrollment and data collection is ongoing from patients with healthy shoulders. This animal model compares traditional knee cartilage defect treatment to a novel amniotic membrane treatment. The purpose of this study is to determine the efficacy of amniotic membrane allografts in repairing chondral defects, with the hope that the outcomes will inform future treatments for cartilage defects. Twelve goats underwent surgery to create knee defects and were subsequently treated with either microfracture (surgical method which stimulates the bone marrow to produce growth factors and initiate healing) or an experimental amniotic membrane implant. Evaluation and biopsy of the defect was done at 6 months, and MRI of the goats was done at 1 year. Several factors are being considered in analysis of cartilage restoration, including degree of allograft incorporation into the native cartilage and overall stiffness of the cartilage. Analysis of the presence of inflammatory markers in blood and synovial fluid is also being conducted, with future analysis to study the concentrations of immunogenic inflammatory agents and cells responsible for cartilage matrix synthesis. With the help of the Gift of Hope Organ Tissue Donor Network (Elmhurst, IL), ankle and knee tissue from 5 organ donors will be studied to compare the rate of recovery for various joint tissue treatments. Experimental groups include an untreated control group, an inflammatory tissue group, and a group that underwent mechanical cartilage manipulation. The impact of synovium on joint recovery is also being tested across these three groups. Thus, 50% of each group will be tested with synovium, and 50% will be tested without synovium. We are doing these experiments to determine how synovial fluid (the fluid in your joint) affects healing to determine if we can use it in the future to assist in your recovery. The purpose of this study is to understand the inflammatory environment of the knee after cartilage restoration procedures. To do so, synovial fluid from the knee joint is collected during cartilage restoration surgery and at three subsequent post-operative appointments. Concentrations of different inflammatory markers called cytokines are analyzed in this synovial fluid. The synovial fluid is also analyzed for the presence of; immunogenic cells (from your immune system) and cartilage restoring cells. The results of these analyses will help inform future therapeutic treatments for patients undergoing cartilage restoration procedures. High tibial osteotomy (HTO) is a commonly used and accepted treatment of medial unicompartmental osteoarthrosis in the presence of axial malalignment. HTO can be performed medially or laterally. When performed medially, lateral tibial plateau fractures are a challenging and serious complication of an HTO. The purpose of this study is to determine the rotational and torsional instability that occurs upon a fracture of the lateral tibial plateau during a medial opening HTO, to compare different implants on fixation of the fracture and restoration of joint congruity, and to compare rotational and torsional instability with an implant upon repair of a lateral tibial plateau fracture after medial opening HTO. Data is currently being collected for this study. 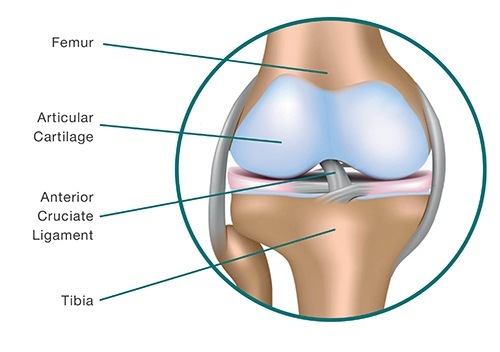 There are a number of surgical procedures that can be used to address osteoarthritis and focal chondral defects of the knee, including microfracture, autologous chondrocyte implantation, debridement, osteochondral allografts or autografts, and knee replacement. In the case of microfracture, scaffold can be applied over the defect to supplement bone marrow stimulation. BioCartilage® (BioCartilage® Micronized Cartilage Matrix, Arthrex, Inc., Naples, Florida) is a scaffold device that has shown promising results. However, the stability of various fibrin scaffolds with focal chondral lesions of different sizes and location is not known. The purpose of this study is to evaluate the ability of fibrin scaffolds and BioCartilage® to remain in the defect after microfracture procedures on chondral lesions of different sizes. Meniscal allograft transplantation (MAT) is a current treatment for meniscal deficiency. 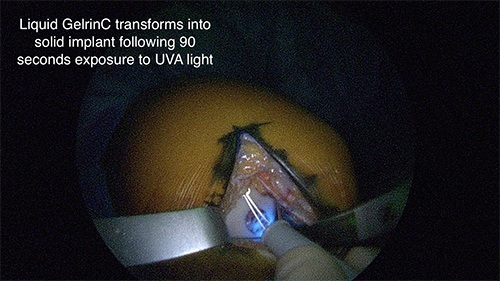 One widely used MAT technique, the bone bridge technique, has been criticized for not allowing the surgeon to match the donor graft attachment to the native anterior and posterior horn insertions. The purpose of the meniscus is to distribute body forces more evenly across the knee, however, an improperly-sized meniscus will not disperse body weight properly. The purpose of this study is to investigate the difference in contact pressure between correctly-sized menisci and incorrectly-sized menisci whose horn location has been adjusted to match the recipient in the MAT. Biceps tenodesis is a commonly accepted surgical option for pathology related to the long head of the biceps. Sub-pectoral tenodesis with an interference screw offers reproducible outcomes with high biomechanical strength allowing for accelerated rehabilitation. However, there is concern regarding potential fracture risk associate with the diaphyseal humeral tunnel created by the screw, particularly in an athletic population. The purpose of this study is to determine the amount of torsional strength reduction in the humerus resulting from an unicortically drilled hole and to evaluate the effect of inserting a tenodesis screw into the drilled defect. The Latarjet coracoid transfer procedure has become the gold standard treatment in the management of anterior glenohumeral instability with significant bone loss. The incidence of recurrent dislocation after the Latarjet procedure is reported to range from 1% to 5%, and screw selection in the Latarjet procedure has largely been based on surgeon preference. There are no previous biomechanical studies that compare different screw type fixation strength. The purpose of this biomechanical study is to determine the strongest screw construct to provide the greatest initial stability in the Latarjet procedure and prevent recurrent dislocation. The above is only an abbreviated list of ongoing research performed by Dr. Cole and the Midwest Orthopedics at Rush research team. These research efforts are dynamic and continually growing to promote the development of knowledge that will improve patient care. If you are interested in supporting these research efforts, please consider an important donation that can be completed through www.rush.convio.net/goto/liveactiveresearch.